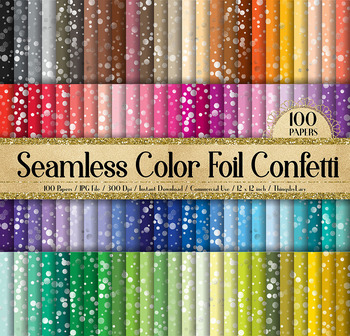 This pack will be available as 1 zip file which contains 100 JPG Images about Seamless Color Metallic Foil Confetti Digital Papers in 100 different colors. Each paper was created with in 12 x 12 inches (30.48 cm) and has 300 dpi resolution for the best quality printing. 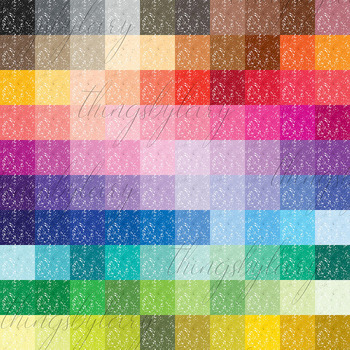 This pack is created with seamless patterns. 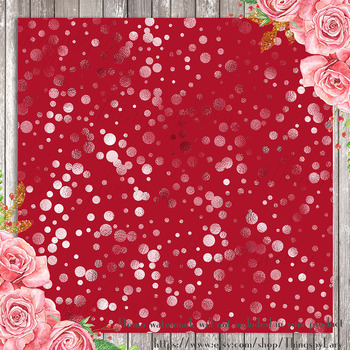 So you can tile them to get whatever size you like, also be used for fabrics or large prints. 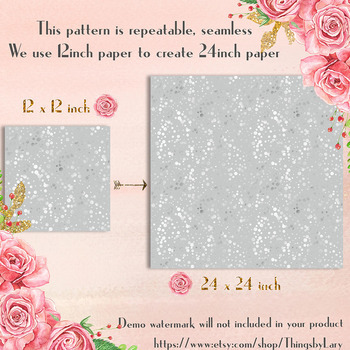 - Quantity: 100 Digital Papers.